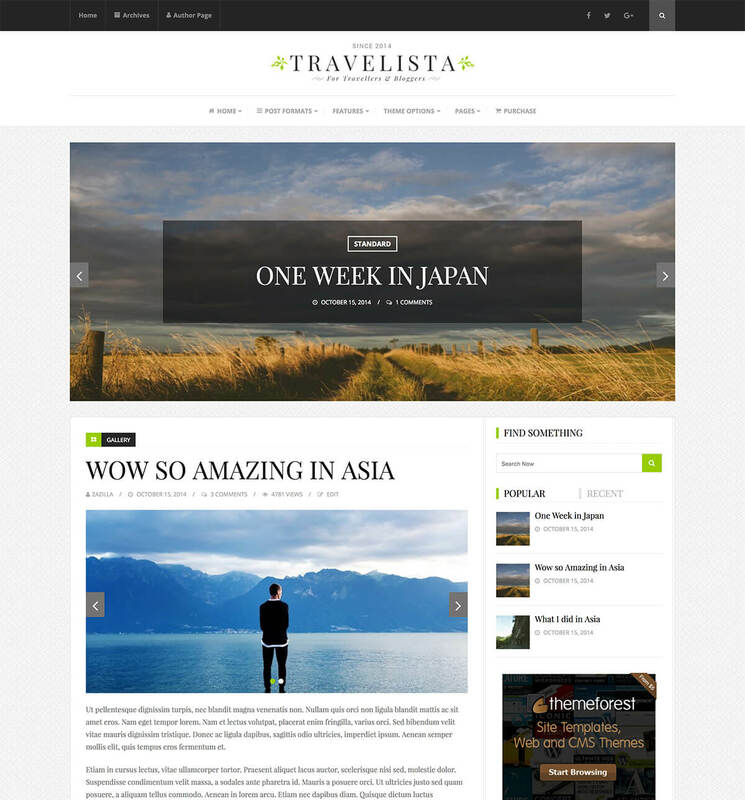 Travelista is a blog theme designed and developed for travel bloggers. But its simple and clean design can be used for any kind of blog. Travelista supports 9 post formats (Standard, Gallery, Link, Quote, Video, Image, Status Audio and Aside). It also provides an easy option to choose 9 different layouts for blog and archive pages and 3 different layouts for single pages. - Moved theme options to redux framework plugin. Now you need to activate Redux Framework plugin to get the theme options. - Added advertisement space for header (Theme Options -> Ad Management -> Header Ad). © 2013 - 2018 BloomPixel. All rights reserved.